As the last procession of dark-tinted town cars roll out of Brisbane following the 2014 G20 Summit, critical opinions appear to be as divided as ever. Was the highly-publicised international event a good thing for the city and its citizens, or not? 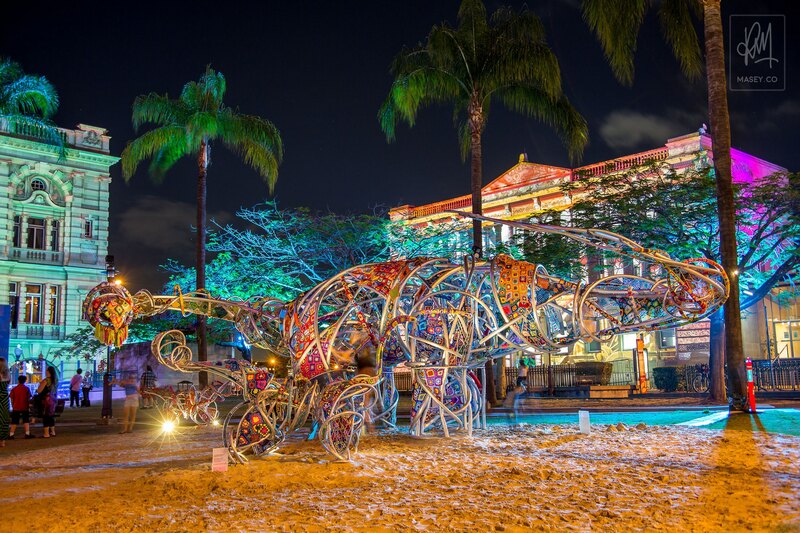 One thing is for sure, organisers lit up the city in celebration of the event in a display which has been beautifully captured in this video, "Colour Me Brisbane", from local time-lapse aficionado, Brett Montgomery. Ol' BrisVegas was well and truly alive while the world's most powerful leaders did their thing behind secure closed doors. The people of Brisbane, to their credit, continued to journey into the CBD area at night and enjoy all the light displays that you can relive for yourselves, thanks to Brett's handiwork. This video's a real treat in HD at full screen, so make sure you set it right before pressing "play"! Those of you who already follow me on Instagram will have already seen these, but here's just a few shots I took on the one occasion I did have to get into town after work in the week leading up to the summit. An aluminium Sauropod with her two offspring, covered in 2,500 crocheted 'granny squares'. 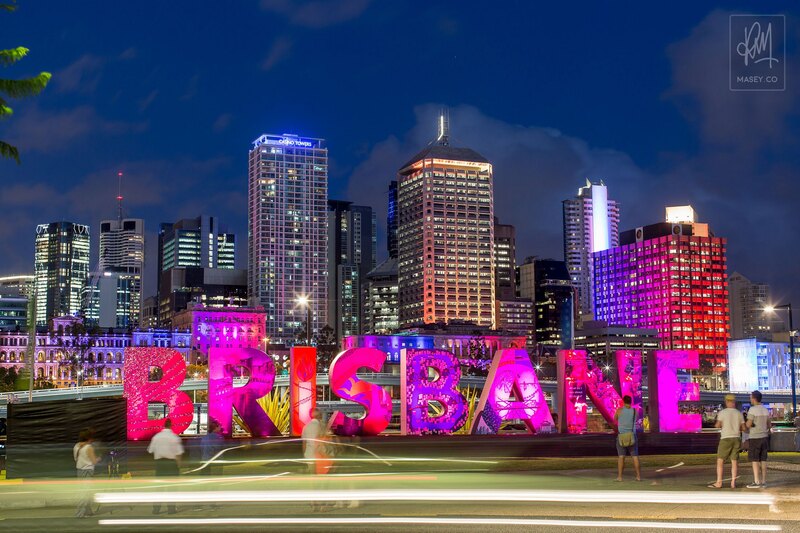 The ever popular Brisbane sign visited by over 25,000 people during the G20 period. 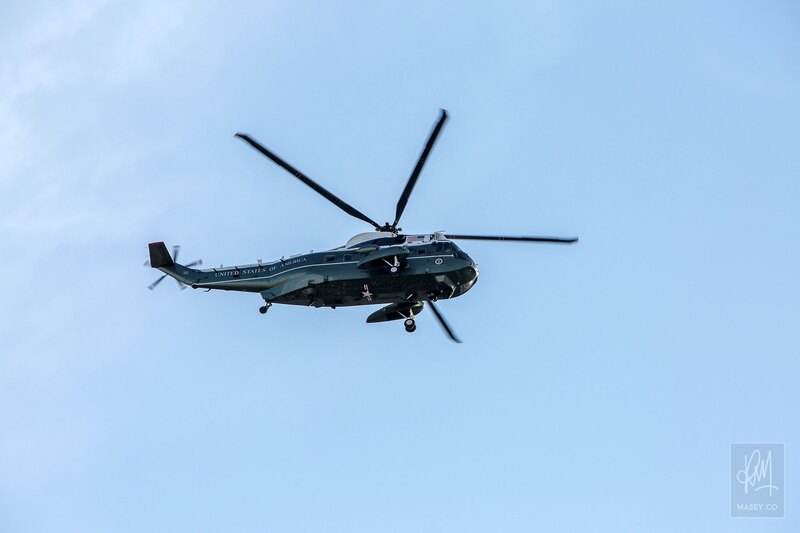 "So long Mr President! ", as seen from our apartment balcony. Oh, and for those of you who adored the "Brisbane sign" in front of QPAC (see above), some good news. The sign, assembled by the Queensland Men's Shed Association, looks set to stay! Well, a modified, iconic version meant to last for years to come will be installed in the same location – awesome news!